A new study suggests that STEM careers might be particularly tough for at least one category of employee: parents. Hispanics make up 16 percent of the American workforce, but only 6 percent of scientists and engineers, according to the National Science Foundation. Will astrophysicist Barbie do more harm than good for young girls? Is astrophysicist Barbie just another cultural message of unattainable perfection? Could apprenticeships help solve the UK’s skilled labor shortage? Each month, an average of 23,000 apprenticeship opportunities are listed on the government’s Find an Apprenticeship site, while organisations are continually driving initiatives to help grow the number of apprentices in these sectors. As you look to determine ways to transition successfully into the future, keep in mind that your advantage can be found at the core of what makes us human. In a recent video, YouTuber Further Fabrication demonstrates how to construct a homemade laser cutter. In a recent video, YouTuber the Hacksmith tests out Gravity Industries’ 1,000 hp jet suit. Deloitte and The Ella Project, creator of Ella the Engineer, announced the launch of a new collaborative comic book series with the goal of exposing girls to STEM in a fun and unique way. More companies in the science, technology, engineering, and mathematics fields are hiring workers with liberal arts backgrounds, according to a recent report. 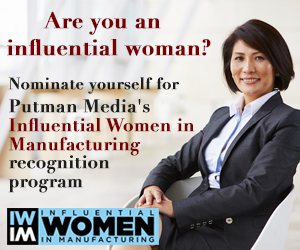 The Manufacturing Institute will be recognizing 130 women as part of its Women in Manufacturing STEP (Science, Technology, Engineering and Production) Ahead Awards at a reception in Washington, D.C.